Weekend is the time when we get to eat our meals together as a family and I really look forward to it. Throughout the week, I look out for dishes which everyone will enjoy eating and I usually end up cooking Indian as that is the favorite choice. 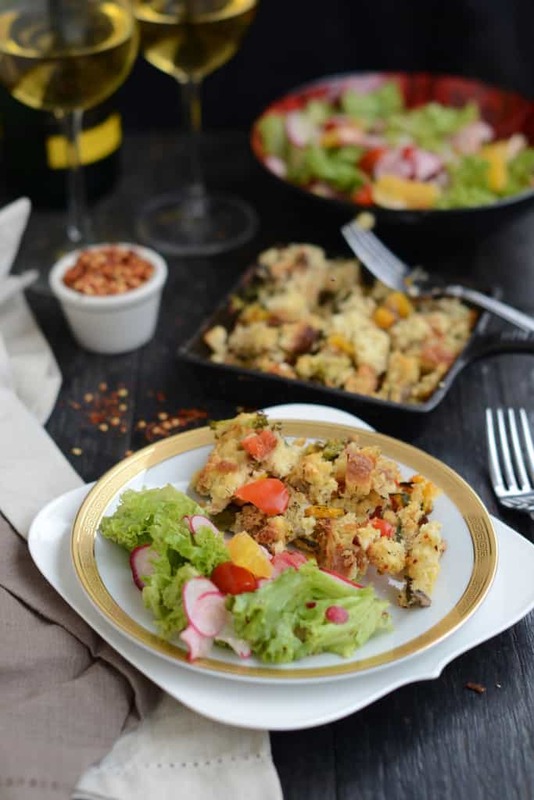 But this time I decided to make this bread pudding with lots of veggies hidden inside it and to my surprise, both my husband and son loved it. 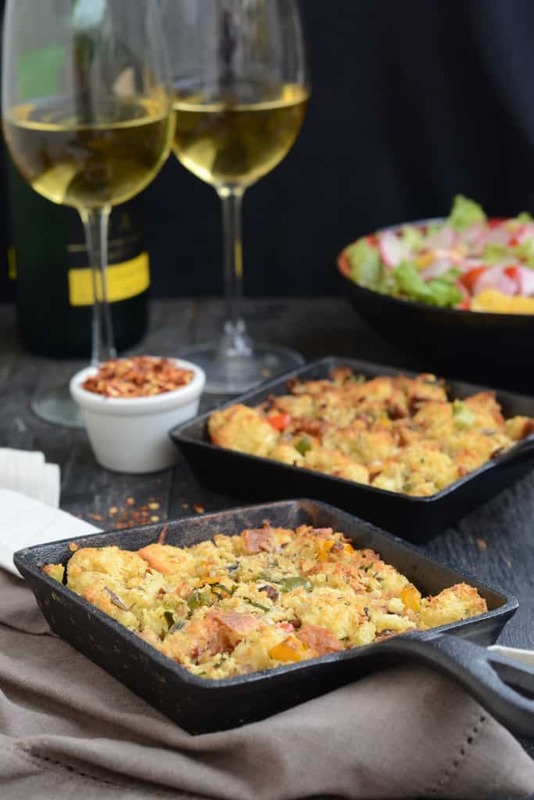 Very easy to put together, this Savory Bread Pudding is a perfect recipe for a brunch or for a family dinner. I used the Brioche bread that I baked recently to make this pudding. You can use any bread of your choice. 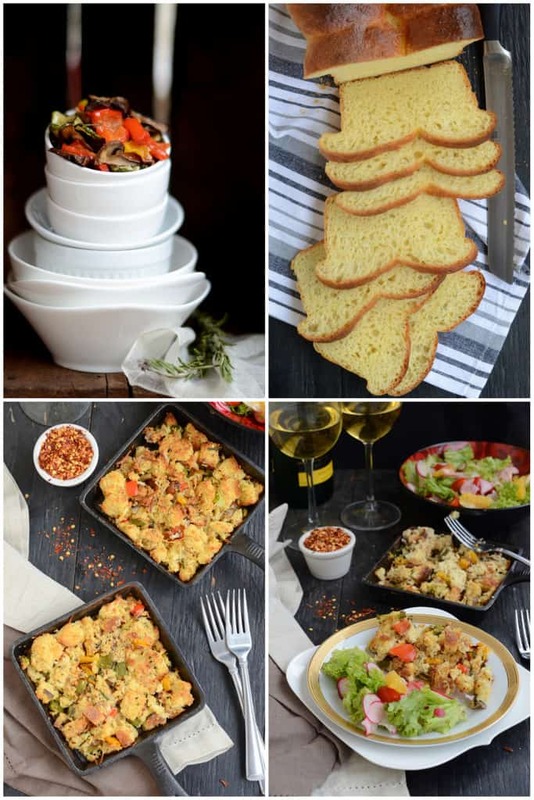 Savory Bread Pudding is similar to Brioche, Roasted Vegetable and Ricotta Cheese Galette and Caramelized Onion and Rosemary Focaccia because of incorporation of the veggies. 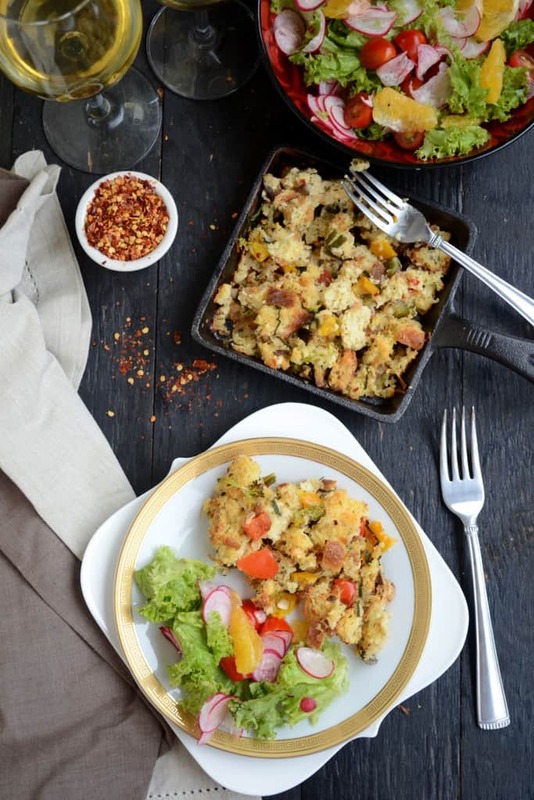 Savory Bread Pudding also tastes superb with a cup of piping hot Adrak Wali Chai during supper. 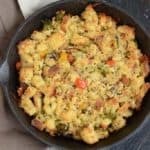 As the bread for making Savory Bread Pudding is baked at home, I can feel assured that it is going to taste nothing but excellent. 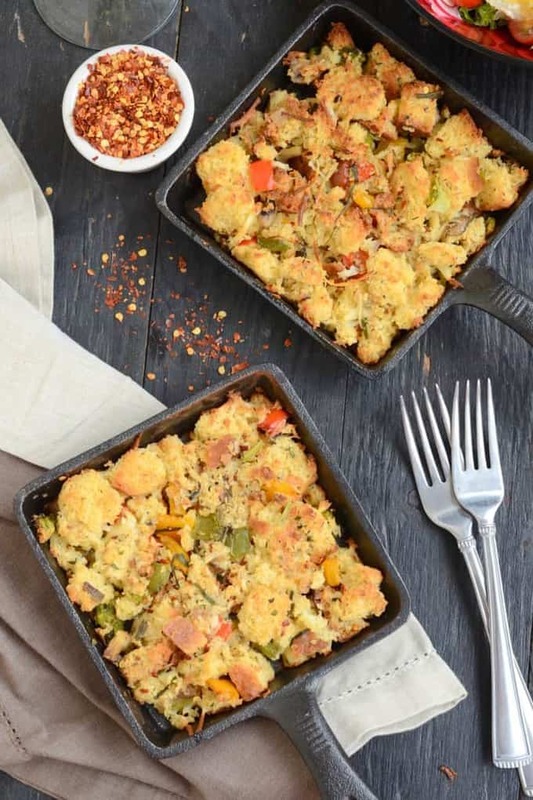 Do follow this sorted recipe for making Savory Bread Pudding within no time! For more such foodie updates, feel free to follow me on Facebook, Twitter, Instagram, and Pinterest. Add garlic cloves and fry for 30 seconds. Add all the vegetables, dried thyme, dried basil, chili flakes and salt. In another bowl, whisk together eggs, milk, black pepper and white wine. In a large bowl, add bread pieces and cheddar cheese. 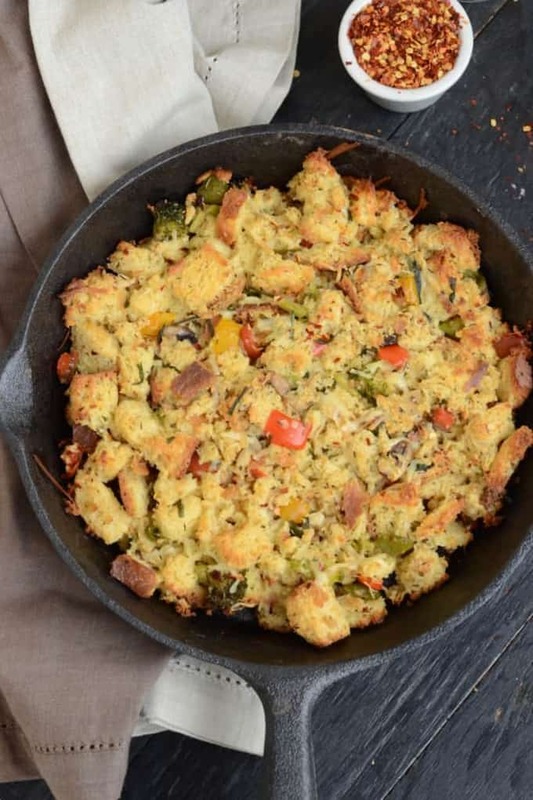 Mix the sautéed vegetables with the bread. Pour the egg mixture on top of the bread pieces and mix well. Cover the bowl with a cling film and refrigerate for 8-10 hours. Pre heat the oven to 180 degrees C.
Transfer the bread mixture to an oven proof dish. Bake for 40-45 minutes till the crust is golden brown. I am in love with the pics. Esp the second last. The pudding looks delicious. I generally replace eggs with custard in a dessert pudding. Thinking of options for this one. 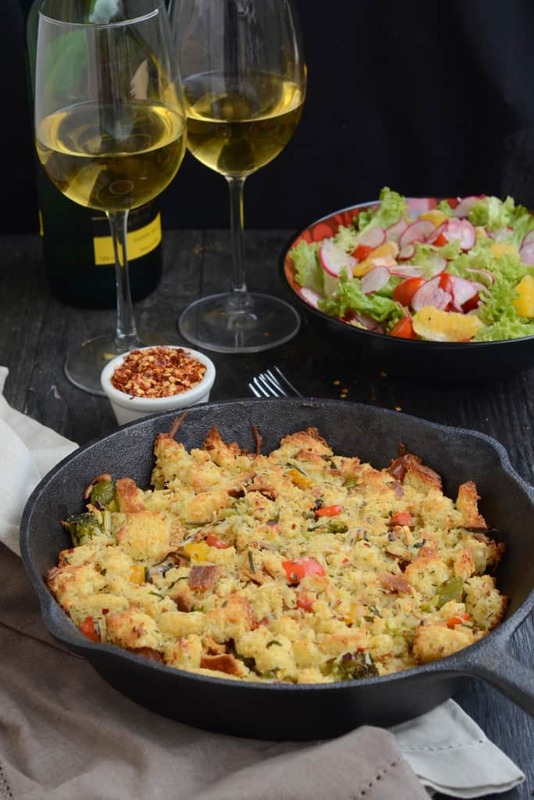 Your Savory Bread Pudding looks lovely. I’ve never tried one but I think I’ll really enjoy this dish. I love the golden and gorgeous crust all around it. yum! That looks delicious, love the savory pudding! wow…luks yumm !! gonna try it soon!! Loving this savoury pudding, killing me.